Myself and my 2 teenage boys had been looking in Spain for a holiday home. Then we looked at Turkey. After contacting many different Agents we struck lucky with Jayne and Turkish Connections. Nothing was too much trouble, the viewings, the sale and after sales was a breeze and extremely efficient. I was constantly kept up to date and the purchase completed within 4 weeks. Jayne and Turkish Connextions come highly recommended. AH recommends Turkish Connextions. "Jayne and the rest of the team have been very helpful, no pressure and no hassle. They're there if you need them but also let you find things out for yourself. The advice is excellent (if you ask for it) and made our transition to turkey a lot easier than I was expecting. We bought a new built apartment from the construction side of their business in the centre of Didim and couldn't be happier with the build quality and location. Would highly recommend." 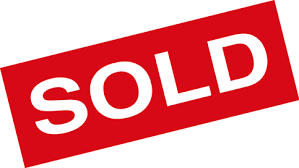 Many thanks to Jayne from Turkish Connections for the sale of our property in Altinkum. Jayne kept contact from the beginning and let us know on a regular basis how things were going. We are delighted the property sold in around 6 months at a difficult time for buyers. Many thanks again Jayne, will recommend. I had to write and say what a wonderful company turkish connextions. I had my property with them for sale and was asked to do poa as it would help the sale if i wasn't there. Jayne Schofield and her team kept me informed and updated me on how things were going regularly and when i had a buyer she phoned me directly to ask if it was all ok with continuing my sale. they took care of everything even to collecting personnel stuff as i was unable to be out there. sale went through and everything was done all in around a week including commodities transferred to new owners and all funds in my account. every day i was told what had been done. would i recommend this company? without hesitation the answer is yes. We found that finding and purchasing our dream property through Turkish Connextions was probably one of the easiest major purchases we have made. Before we even looked at any properties Jayne and the team gave us a complete tour of the area and facilities so that we knew we were happy with the location. Once we found our property the purchase was handled without any problems and we were kept informed at all stages. All the paperwork was sent directly to us on completion. The utilities and othe services were all taken care of by the company and transferred without any problems. We are currently using their expertise to ensure that the property is prepared for our eventual permanent move to Turkey. I purchased a property within 3 days! After several months of communicating with staff in the UK & Turkish branch, I was frequently sent a selection of properties to view within my price range. Eventually after making due diligence enquiries and researching the location, I made arrangements to visit the resort. Upon arrival, I was collected from my hotel and not just shown the apartments on my list but shown the whole area as well. It was an amazing experience as I was able to explore the area, checking out a few bars and restaurants as well. I was surprised at the standard & quality of the properties available. It was simply a matter of just choosing which one to buy! After making a decision, Turkish Connextions provided a service which enabled me to purchase a property really quickly. They also provide a professional after care service where I have peace of mind knowing that my property will be taken care of with people that I can trust. I definitely recommend Turkish Connections to friends, family & anyone looking to buy a property in Turkey. You will not be disappointed! We have bought a property through Turkish connextions and highly recommend. Them from start to finish we were looked after and shown through the buying process by both Jane and izzy they went out of there way to help us even when we returned to the uk we were kept informed the whole process took two weeks from start to finish I would not hesitate in recommending Turkish connextions to any one considering buying a property in turkey I would certainly use again. What a great service we received from this company. From looking at a property to doing all the legalities to purchase it They helped us every step of the way and kept in contact through the whole process. And now we own a lovely property in the sun in Akbuk .Thank you for all your help. Highly recommended. From looking at a property to owning it took just under a week to complete which was crazy, but for the professionalism of Jayne Schofield and her team at Turkish Connextions. I don’t believe it could have been managed any better, completely stress free. With each step of the buying process I was helped by some really lovely people. I also sold a property and again from start to finish Jayne took care of everything, right up to the day the money went into the account Jayne kept me informed and updated. I would have no hesitation in highly recommending Turkish Connextions and have done just that on a number of occasions since. A BIG thank you to Jayne and her team for providing a friendly, informative and professional service. Having visited the area in June, been picked up from my hotel and shown the property I put an offer on my apartment, Jayne accompanied me to the lawyers office and tax office. The process took only one hassle free month and I was kept up to date throughout. The assistance has continued further to the purchase with advice and help with potential holiday rental. Thank you Turkish Connextions for making it a pain free and pleasurable experience. I would just like to say a huge thank you to Jayne Schofield from Turkish Connextions for selling my apartment in Altinkum. The sale was handled in a very professional and friendly manner and nothing was too much trouble. It was only a matter of months before a buyer was found for my apartment and in less than 3 weeks from the date of accepting the offer, the monies were in my bank account. Jayne and her team dealt with everything on my behalf and kept me up to date with emails on an almost daily basis. I would recommend Turkish Connextions to anyone who is considering buying or selling a property, and wish Jayne and her team all the best for the future. Thanks for your help in selling our apartment on Royal Marina, Altinkum recently. We found selling through Turkish Connextions to be an easy and stress free process and would not hesitate in recommending your friendly and professional service to others. 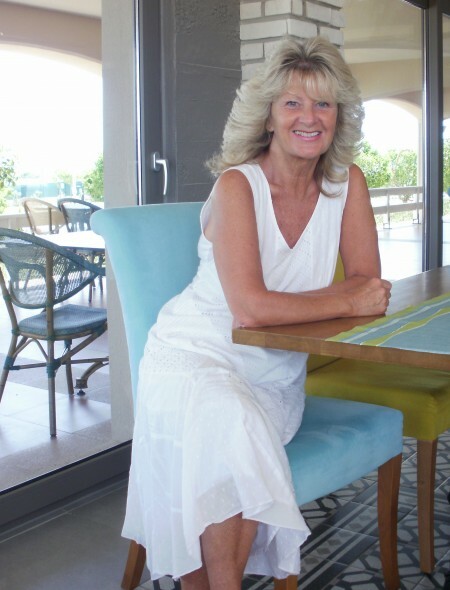 Property in Turkey Hi Jayne, We would like to thank you for all your help and advice we’ll certainly recommend you to everyone. Hope you have a great Christmas and New Year. We first got in touch with Turkish Connextions in February 2012, we had spotted a few properties in Turkey that we could afford. We hadn’t at this point decided where to buy. Me & my daughter flew out in February 2012 & had arranged to meet someone from Turkish Connextions in Antalya, we had a very successful viewing day, then we both flew to Izmir for 3 days where we were picked up at the airport & put up in a very nice apartment. After some much needed rest we met with Jayne & Izzi for the first time, they took us out for dinner, straight away I felt at ease with them both, they asked what we wanted in a property what was important . We had already noted the properties that we wanted to view while in the area having never been to Altinkum we didn’t know what to expect, but after spending time there we fell in love with it. Jayne & Izzi gave us great advise it was obvious they had many years of experience helping other clients from England, nothing was too much trouble for them & I never felt any pressure to buy. After viewing lots we settled on a two bedroom two bathroom duplex apartment on golden park in Altinkum, as soon as we had gone on the huge balcony upstairs I knew it was the one. Once our minds were made up Jayne & Izzi went to work, we had everything done for us , they arranged all the paperwork & meetings with lawyers & it was brilliant, they explained everything clearly to me & I had total confidence in them to put our best interest foremost. As the process started, we were kept informed at all stages, it was very exciting when Jayne called to say everything was ready to complete & you would think that would be the end of the process from Turkish Connextions side, but this was totally not the case, as this was when Jayne turned into our Guardian Angel, she helped with furniture, even choosing it for us with Izzi having it delivered. When we went for our first time in July this year it was amazing , we were so pleased with what they had done for us, they also arranged the apartment to be cleaned & locks to be changed. We have so much confidence & trust in the team in Altinkum we have asked them to look after the property while we are not there, what’s great about the service is that it doesn’t stop when you buy from them, they are always around when you need help & advise, they always make you feel welcome in the office. Turkey has been a great choice I feel so at home there & this is mostly due to the kindness & real genuine care we have had from Turkish Connextions.